It said that there are no indications at this stage that members of the public are at risk. IRELAND’S NATIONAL CYBER Security Centre (NCSC) has said that it is aware that a number of websites have been infected by hackers using the sites’ to “mine” cryptocurrencies without their permission. Thousands of websites around the world, including many operated by governments, have been affected by the breach, security researchers have said. 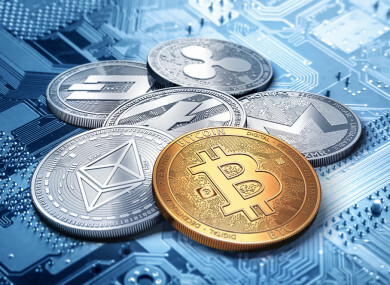 The attack is the first major incident made public in which a new breed of hackers took over a large number of websites to effectively create currencies like bitcoin which are generated by using computing power. The attacks made public over the weekend by British security researcher Scott Helme showed more than 4,000 websites were infected in this manner, including those of the British data protection and privacy watchdog and the US federal courts system. The NCSC said it has issued an advisory to all its constituents of government departments and agencies, as well as critical national infrastructure providers, “informing them of the issue and outlining a number of mitigation tech steps to prevent similar types of incidents occurring in the future”. It said that there are no indications at this stage that members of the public are at risk. It has not indicated which websites have been infected by the hack. Helme said in a blog post yesterday that the hackers were able to reach large numbers of websites by infecting a commonly used “plug-in”, or software which helps a site run better. In this case, the hackers used the malicious software to create Monero, one of several new cryptocurrencies which are making a splash in financial markets. “If you want to load a crypto miner on 1,000+ websites you don’t attack 1,000+ websites, you attack the 1 website that they all load content from,” he said. The creator of the plug-in, the British software firm TextHelp, said it took the affected software offline after it discovered the “attempt to illegally generate cryptocurrency”. “This was a criminal act and a thorough investigation is currently underway,” the company said in a statement. Researchers have been warning in recent weeks about this kind of malware, which can deliver profits without being obvious to users. Because of the huge financial gains in cryptocurrencies, Cisco researchers said this has become a prime target for hackers. “At a high-level mining is simply using system resources to solve large mathematical calculations which result in some amount of cryptocurrency being awarded to the solvers,” Cisco researchers wrote in a research note. Security researcher Graham Cluley said the latest attack highlights vulnerabilities in websites which may have weaknesses in third-party components. The NCSC is an operational arm of the Department of Communications, founded in 2011 and is responsible for overseeing the cybersecurity of government IT infrastructure. Email “Number of websites infected by cryptocurrency hack, Ireland's National Cyber Security Centre says ”. Feedback on “Number of websites infected by cryptocurrency hack, Ireland's National Cyber Security Centre says ”.